“No…” I hesitantly answered my therapist’s question in the voice of a little girl half my age, hunched over in a beaten down posture, visibly shaky, and with the fear of someone who thought anything they did could send them straight to hell at any given moment, in my sunken in eyes. This was a far cry from the young woman I was just two years before. The young woman who my mother, frantic in the waiting room, would spend the next several years doing everything in her power to support my return to being. When I left my appointment that day and googled “sociopath,” the characteristics I found listed were so closely aligned with the person I had been living with (my first roommate out of high school) that I honestly believed that my mother must have told my therapist about him and that they must have designed a website in order to convince me that he was bad and that I needed to stay away. If it is hard to believe that a young woman who had skipped a grade, graduated with a 4.2 GPA and been accepted into top universities could not initially accept the fact that the person who had been causing her unimaginable suffering was indeed abusive and likely had antisocial personality disorder (the clinical term for what is commonly referred to as a sociopath), it is important to note that abuse often causes cognitive distortions in those who endure it as a means of survival. However, by the time I had found two or three more websites with similar lists, and checked their copyright dates, I was forced to begin to accept the fact that the information might be credible and, furthermore, that it could explain why I was in such agony. See, I knew something was horribly, excruciatingly wrong. It is just that I thought that what was wrong was me. Because the person who abused me never hit me, learning about red flags of emotional, psychological and spiritual abuse and about the traits of abusive personality types was the crack of sunlight I needed. It helped me begin to see my way out of the never-ending quest to fix myself in order to make the pain stop. Over the next five years, I processed through the abuse that led me to a state of 24-hour flashbacks, trauma reactions, nightmares, physical pain, shaking, anxiety, depression and being suicidal. Having endured coercive persuasion tactics used in cults (yes, apparently, you can be in a cult without knowing it, without it being the 60s, without drinking any kool-aid and without it being a group), on top of the trauma symptoms and distorted view of oneself and the world that is common among those who have suffered abuse, I had to undo the specific spiritual brainwashing that the person who abused me ultimately used to justify his control. The challenges were unique and I could not find many examples of people who had gotten out of similar situations and seemed to be thriving in their lives, having truly undone the unthinkable damage this type of abuse causes. Madeleine Tobias and Janja Lalich, PhD, say in their book, Take Back Your Life – Recovering from Cults and Abusive Relationships, “In essence the cultic relationship is a one-on-one version of the larger group. 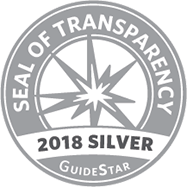 It may even be more intense than participation in a group cult since all the attention and abuse is focused on one person, often with more damaging consequences.” I certainly felt the full weight of those consequences, having been left unrecognizably traumatized. It terrified me that I might not get to return to the life I had once had, one of joy, healthy relationships, confidence, passion and mental and physical health. After the fear of not ever being able to heal engulfed me one night, I told myself that not healing was not an option, despite anyone else’s opinion. I promised myself that I would and that once I did, I would help others do the same. I promised myself that I would combat the issues I had discovered in the mental health and medical fields that far too often prevent those who have suffered various forms of abuse and trauma from getting effective treatment and being able to heal as opposed to merely cope. When I could not find an organization to volunteer for that was doing this on a national level, as well as changing the societal conversation around trauma that I saw so desperately needed to change, I promised myself that I would start one. I promised myself that I would fully pursue my dreams once again and integrate the love I had always had for the arts with my newfound commitment to advocacy. I am proud to say that I have made good on all of those promises. IN ADDITION TO MY (SHAKY, TANGLED, BUT SOMEHOW STILL THERE) FAITH AND MY INCREDIBLE FAMILY, THERAPIST, MENTORS AND FRIENDS, IT WAS MY DREAMS THAT GOT ME THROUGH. My passion for performing was evident from an extremely early age and I was fortunate to be able to pursue it professionally. After working as an actor, singer, voice over artist and model locally as a child growing up in Louisville, Kentucky, I won the opportunity to sing on NBC’s legendary It’s Showtime at the Apollo in New York City and was signed by the woman responsible for bringing The Jackson 5 to Motown. This gave me an opportunity to pursue my love for performing on a much larger scale as a teenager. Having only just made my primetime TV acting debut (on CBS’s Without A Trace) when I unknowingly entered into the abusive situation, I was beyond eager to get back to pursuing my career without the weight of trauma hanging over me. While I did study and work a bit during my healing process, it was greatly impeded by the trauma. I remember being on the set of the first theatrically released feature film I have been in (David Chase’s, the creator of The Sopranos, Not Fade Away) and being trapped in a full blown trauma reaction in my trailer, complete with intrusive thoughts and a panic attack. I remember feeling stuck in class, hiding my trauma reactions away in the bathroom of my acting studio, and having botched auditions, from infinitely more than typical actor nerves. Luckily for me, great acting requires that you have full access to your mind, body and emotions. This meant that in order for me to get back to the work I wanted to be doing, I had to truly heal. For me personally, I knew I could not thrive as an actor if I was living with Complex Post-Traumatic Stress Disorder (C-PTSD) and Psychogenic Non-Epileptic Seizures (PNES), which I had been diagnosed with. I WANTED MY LIFE BACK AND THE CHANCE TO ACHIEVE MY DREAMS AND I WAS COMMITTED TO DOING WHATEVER IT TOOK TO GET THERE. I believe it is so important for people suffering from trauma to identify what they would want their lives to look like if the symptoms holding them back were not a factor. Giving oneself permission to dream and then pursuing healing in order to make whatever those dreams may be a reality is such a powerful motivator. Despite immense suffering for the better part of a decade, enduring and then healing from abuse, I am grateful for so much, including always being in touch with the dreams that pulled me through. I am grateful to have received proper diagnoses, because many people who have experienced abuse are diagnosed with a variety of mental illnesses, behavioral problems and physical illnesses without helping professionals identifying and properly treating the underlying trauma. (I was initially misdiagnosed as epileptic before being diagnosed with PNES, which happens quite frequently I learned, but I am grateful to have a mother who encouraged me to get a second opinion when the diagnosis just did not make sense. Despite having symptoms that aligned with a variety of mental and physical illnesses, I am grateful to have not been further misdiagnosed.) I am grateful because having a therapist view my symptoms through a trauma-focused lens allowed me to get treatments like EMDR (Eye Movement Desensitization and Reprocessing) and Sensorimotor Psychotherapy to process my traumatic experiences as opposed to simply learn how to cope with the symptoms I had as a result of them. In addition to trauma-focused treatment modalities I also integrated my healing process with my artistic training and practice, in effect, practicing art therapy through acting, singing and movement. I journaled, I wrote poetry and songs, I worked out, I did yoga, I ate clean, I practiced mindfulness and I formed new, healthy friendships and reconnected with old ones. I learned about neuroplasticity (or the brain’s ability to rewire itself) and understood the symptoms I was experiencing in a way that allowed me to not take them on as my identity but as a result of what had happened to me. I applied the knowledge of my body, mind and emotions that I had from years as a performing artist to dive more deeply into my treatment and communicate with my therapist exactly what I believed was taking place inside of me in order to lead him to where we should go next. I used medication briefly during a couple of especially unstable periods. It was necessary as a means to stabilize me in order for me to be able to handle working through the trauma and not remain suicidal from the weight of facing it head on. I faced it head on, day after day, as my top priority, for several years, until it no longer hung over my life and prevented me from living on my own terms. I am grateful for the growth I have received on the other side of this experience, which deepened my understanding and compassion for human suffering and motivated me to do something about it. Five years after that conversation about sociopathy in my therapist’s office, I lost my C-PTSD diagnosis, having healed from the PNES a few years before. Later that year, coming full circle, my former therapist, mother and I founded the nonprofit I dreamed of years before. Today, I run that organization and am a working actor in New York City. I share my experience and knowledge of abuse, trauma and healing in speaking engagements and trainings across the country. I promote awareness, effective intervention and proper treatment to people who are suffering, to students and to helping professionals across fields. Spreading the hope of healing in this way and becoming the person I wished I had met years ago is beyond gratifying. The privilege of working alongside (and geeking out over) world-renowned experts in the trauma studies field makes me more star struck than any movie set I could ever end up on (well, ask me again after I work with Annette Bening) as their work literally saved my life. Furthermore, when I act now, it comes from a place of advocating for my characters’ stories to be heard in a way that no theatre school could have taught me. Having lived in fear with the truth of my story trapped inside of me, wreaking havoc on my mind and body while I endured abuse and struggled to overcome it, I know what it is to keep one’s story inside. 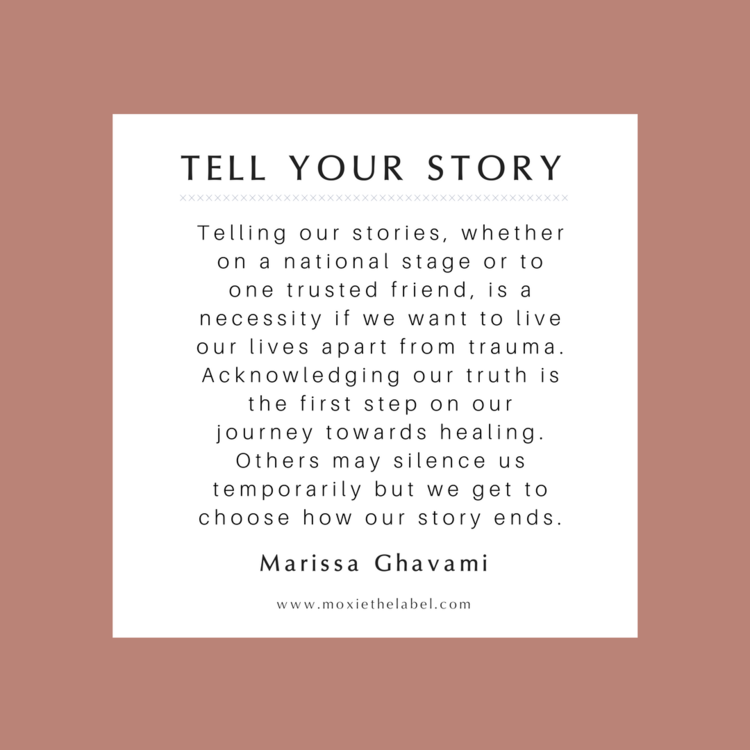 Telling our stories, whether on a national stage or to one trusted friend, is a necessity if we want to live our lives apart from trauma. Acknowledging our truth is the first step on our journey towards healing. Others may silence us temporarily but we get to choose how our story ends.